If you constantly find yourself wishing there were a few more minutes in the day to enjoy the things you love most, reach out to Merry Maids®. 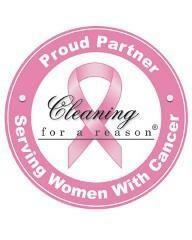 We are a home cleaning service in Hattiesburg that restores balance to your life by tackling your endless to-do list. With proven processes and advanced techniques, our trained team members re-energize your space and give you back the time you deserve to live more in the moment. Coming home should never be a chore. At Merry Maids of Hattiesburg, we spend countless hours every day in homes just like yours, so we understand exactly what you need and offer customizable cleaning plans to fit your busy schedule. From one-time detailed cleanings to routine weekly, bi-weekly, or monthly services, we’ll accommodate your specific needs so that you can start coming home to more. Request your free estimate today! Request Your Free Estimate Fill out our estimate form or give us a call at (601) 283-3825 to get started.